The winters in northern Virginia can become quite cool, and you wouldn’t want to face one if your house wasn’t equipped with an efficient and effective heating system. HVAC professionals with years of experience can give you reassurance you’ll enjoy each winter in cozy comfort. At Oasis Heating, A/C & Refrigeration, we offer 24/7 heating repairs, as well as other vital heating services such as heating system installation, replacement, and maintenance. If you’d like to lower your heating bills, ask our technicians about installing a high-efficiency heating system, either for a new home or as a retrofit. We offer free estimates on heating system replacements. Our heating specialists will review your options with you based on a professional assessment of your home’s configuration and your family’s specific comfort needs. 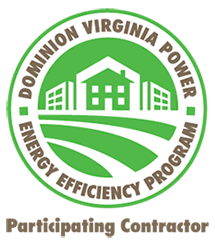 We’ll help ensure that you receive efficient, reliable heating services for your home in Lorton, Fairfax, Springfield, Alexandria or Arlington, VA. Furnaces: The furnace is the great workhorse of home heating in the U.S. We provide full installation, replacement, repair, and maintenance services for a wide range of furnaces. Heat pumps: A heat pump is a system similar to an air conditioner, except it can reverse the direction it moves heat and work as a heating system. This is a great two–in–one home comfort solution. Hybrid heating: If a heat pump can’t handle harsh winter conditions in your home, we’ll set you up with a hybrid heat pump that has a back–up furnace system. Radiant heating: Unlike forced–air heating systems, radiant heating system heats the surfaces of objects in your home in order to provide warmth. These systems have high energy efficiency and long service lives. Along with all the systems we listed above, our technicians also offer installation of zone control systems, ductless mini splits, and advanced thermostats. Let our heating professionals go over the different systems and supporting equipment to help you select the best heating set–up. In addition to getting a proper installation handled by a skilled technician, proper sizing will ensure that your heating system will have minimal problems. Installing a system that’s too big or too small can cause excess stress on your system and lead to an early replacement. If your heating system is too small, it may not heat your home to the desired temperatures. Make sure you hire a professional heating system contractor you can trust to install any new equipment in your home. The heating experts at Oasis Heating, A/C & Refrigeration offer repairs 24 hours a day for all types of heating systems. We’ll keep your system in top shape all winter long with our maintenance program that provides an annual check–up and tune–up. 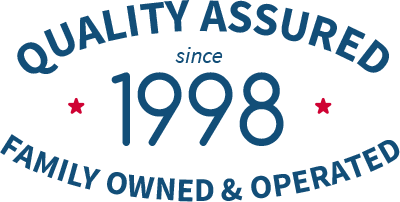 We have been in business since 1998, and have always been family–owned and operated. We offer free estimates on replacement equipment. We provide heating service to Springfield, VA and through all of Northern Virginia. Contact us today to schedule your next heating service!